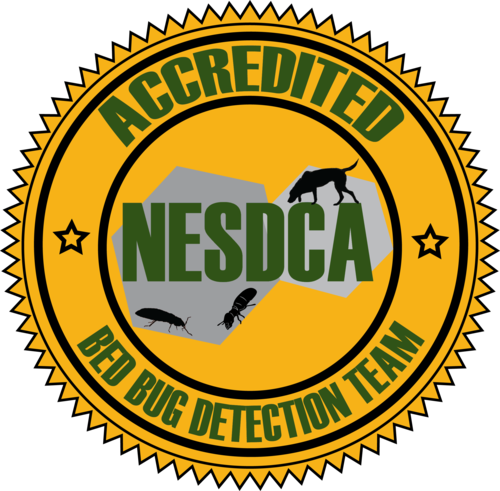 NYC Bed Bug Inspectors (“NBBI”), its parents affiliates, divisions, and/or subsidiary (“Company”) recognizes the importance of protecting the privacy of your personal information. Personal information includes all of your personal and financial information that you provide to NBBI. NBBI is sensitive to your privacy rights and interests and believes that the protection of your personal information is one of NBBI’s significant responsibilities. To this end, the policies outlined below describe NBBI’s policies related to protecting your privacy. Use, Collection And Retention of Customer Information: NBBI collects, retains, and uses information about its customers that is required by law to properly administer NBBI business and provide the highest level of service to our clients. NBBI retains information no longer than necessary to meet such objectives. All information voluntarily submitted becomes the property of NBBI, with such submission acknowledging and consenting to NBBI authority to use, retain and/or provide customer’s name, address or other information for advertising, marketing or promotional purposes without further consideration, unless otherwise prohibited by law. NBBI customers who do not wish to have their information used for advertising, marketing or promotional purposes may opt out by informing NBBI in advance. Maintenance Of Accurate Information: Company has established procedures so that its customer’s personal identifying and financial information is accurate, current and complete within reasonable industry standards. Any request to correct inaccurate information will be responded in a timely manner. Limiting Employee Access To Information: All NBBI employees having access to customer information undergo training regarding the importance of customer privacy and confidentiality. Only those employees having a legitimate need for knowing or accessing customer’s personal information will have access to such information. Protection Of Information Via Established Security Procedures: Company maintains rigorous standards and procedures regarding unauthorized access to customer information. Restrictions On Disclosure Of Customer Account Information: Company provides information about customer accounts or other customer information to third-parties only when: 1) the information is provided to help complete a customer initiated transaction; 2) the customer requests and/or consents to NBBI communication to a third-party; 3) the disclosure is required and/or allowed by law; 4) it is necessary to process transactions and/or provide services. Maintaining Customer Privacy In Relationships With Third-Parties: If it is necessary to provide personal identifying, financial or other information to a third-party, NBBI shall insist that the third-party adhere to similar privacy policies and procedures as contained herein in order to ensure that such information remains confidential. Disclosure Of Privacy Policies To Customers: NBBI customers have a right to know what information is kept about them and how the information is used. Customer’s also have a right to have any inaccurate or outdated information corrected or removed from NBBI files. Security Issues: NBBI customers have a right under this policy to address security issues directly with NBBI, and have complaints promptly handled, with notice of any findings and actions taken to resolve any such issues. NBBI operates this web site to provide online access to information regarding our products and services. You may use the Site, the Service and the Content for your own personal, non-commercial use only. You agree that you will not otherwise download, copy, reproduce, display, distribute, transmit, publish, or transfer any Content or information obtained from the Site or the Service or create derivative works from any Content or information obtained from the Site or the Service without first obtaining written permission from NBBI. Downloading Files: NBBI cannot and does not guarantee or warrant that files available for downloading through the Site will be free of infection by software viruses or other harmful computer code, files or programs. The entire risk as to the quality and performance of the Site and the Services and the accuracy of the Content is solely and exclusively with you. Third Party Links: Hypertext links to third party web sites or information do not constitute or imply an endorsement, sponsorship, or recommendation by NBBI of the third party, the third-party web site, or the information contained therein, unless expressly stated on the Site. You acknowledge and agree that NBBI is not responsible for the availability of any such web sites and that NBBI does not endorse or warrant, and is not responsible or liable for, any such web site or the content thereon. You agree to assume total responsibility and risk for your use of the site, the service and the content and for evaluating the accuracy, completeness and usefulness of all content provided by the site or the service. NBBI makes no express or implied warranties, representations or endorsements whatsoever with respect to the site, the service or the content. NBBI expressly disclaims all warranties of any kind, express, implied, statutory or otherwise, including, but not limited to, implied warranties of merchantability, fitness for a particular purpose, title and no infringement with regard to the site, the service, and the content. NBBI does not warrant that the functions performed by the site or the service will be uninterrupted, timely, secure or error-free, or that defects in the site or the service will be corrected. NBBI does not warrant the accuracy or completeness of the content, or that any errors in the content will be corrected. the site, the service and the content are provided on an “as is” and “as available” basis. Because some states do not allow the exclusion or limitation of liability for consequential or incidental damages, some of the above limitations may not apply to you, in such states, NBBI liability is limited and warranties are excluded to the greatest extent permitted by law, but will, in no event, exceed $100.00. You understand and agree that you are personally responsible for your behavior on the Site. You agree to indemnify, defend and hold harmless NBBI, its affiliates, licensor’s, employees, and agents from and against all claims, losses, expenses, damages and costs (including, but not limited to, direct, incidental, consequential, exemplary and indirect damages), and reasonable attorneys fees, resulting from or arising out of your use, misuse, or inability to use the Site, the Service, or the Content, or any violation by you of this Agreement. If you supply any information or material to NBBI via the Site, you guarantee to NBBI that you have the legal right to supply, post, or store such information or material and that doing so will not violate any law or the rights of any person or entity. Correction of Errors and Inaccuracies: The Content may contain typographical errors or other errors or inaccuracies and may not be complete or current. NBBI therefore reserves the right to correct any errors, inaccuracies or omissions and to change or update the Content at any time without prior notice. NBBI does not, however, guarantee that any errors, inaccuracies or omissions will be corrected. Entire Agreement/No Waiver: This Agreement constitutes the entire agreement of the parties with respect to the subject matter hereof. No waiver by NBBI of any breach or default hereunder will be deemed to be a waiver of any preceding or subsequent breach or default.